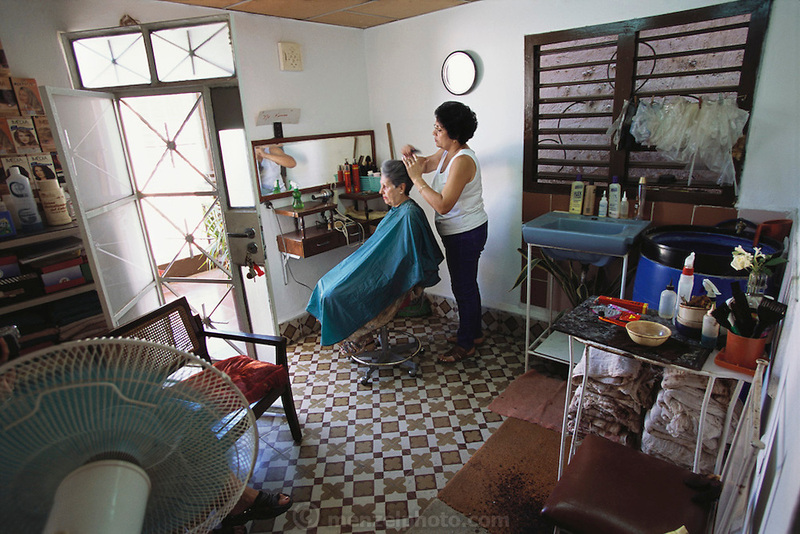 Eulina Costa Allouis has turned the front room of her small apartment into a beauty parlor. Originally, she did the business on the roof of their home, out of sight from prying government eyes as no one was supposed to have a private business. Restrictions are less rigorous these days. Marianao district, Cuba. From coverage of revisit to Material World Project family in Cuba, 2001.